Winters Flat Primary School offers the Commonwealth Bank School Banking program to all students. School Banking is a fun, interactive and engaging way for young people to learn about money and develop good savings habits. Children who deposit money into their Youthsaver account through School Banking earn Dollarmites tokens, which they can save up and redeem for exciting rewards. 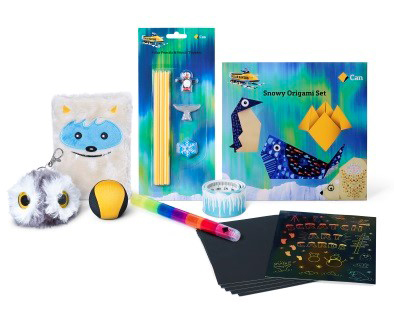 This year the Dollarmites are taking the children on a Polar Savers Adventure, and we have eight new Polar Saver Rewards to encourage children to save regularly. School Banking day is TUESDAY. Each week you need to place your book in the special box at the school office. DON’T FORGET SCHOOL BANKING DAY IS TUESDAY and you just need to bring in your account book and the money you wish to deposit to the offfice when you arrive at school.